2 weeks ago I found out I would ‘have’ to wear something tartan for a weekend in the Highlands. For a change: “I have nothing to wear” was true, not the smallest bit of tartan to be found. 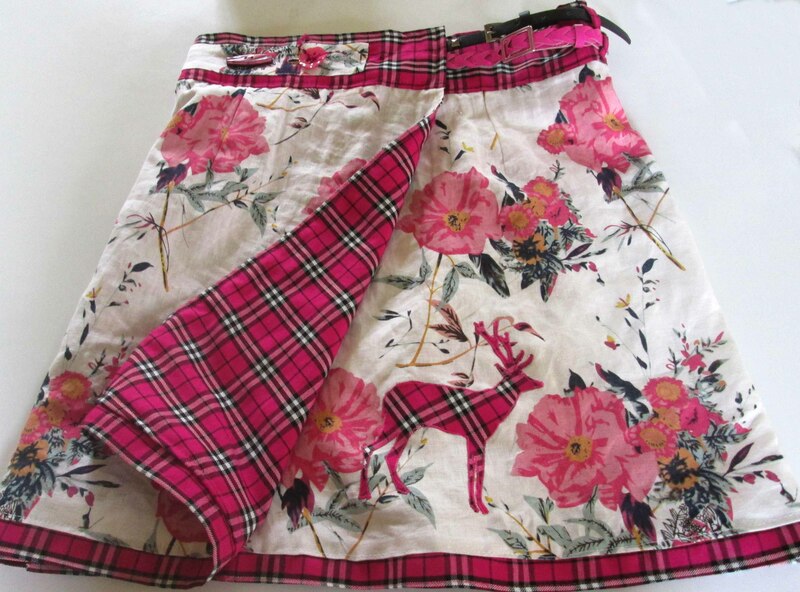 I ordered some bright pink tartan online thinking I wouldn’t find this anywhere in the shops. 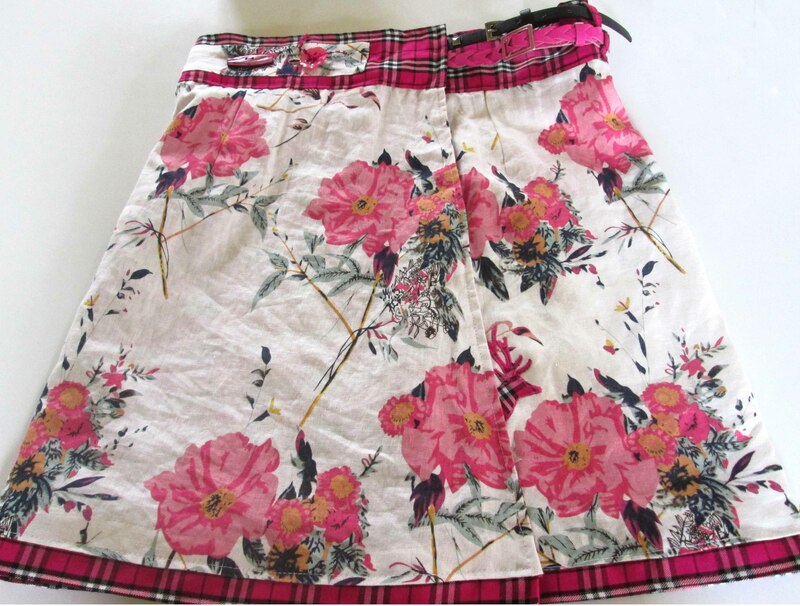 I had a vague idea of looking for a second hand skirt in Edinburgh’s charity shops and combining it with the fabric. Strolling down from South Clerk Street towards Waverley Station is perfect for finding lots of treasures in more than 10 charity shops. 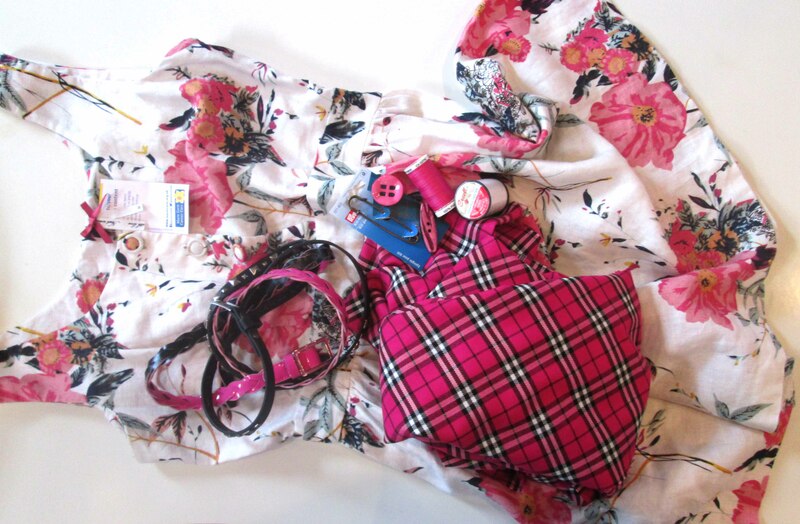 I found 3 heavy books (for an art project), an over-sized pair of jeans (to become part of a jacket at some point – hopefully the near future) and a flowery Next dress for the tartan outfit. Collecting ALL the stuff I will need before I start is the most important thing for me, otherwise I can’t seem to get going with a project. Usually I end up with lots of stuff that I don’t use. This collection included some old belts that I don’t use. I had this vision of adding a bit of a punk element to the outfit. 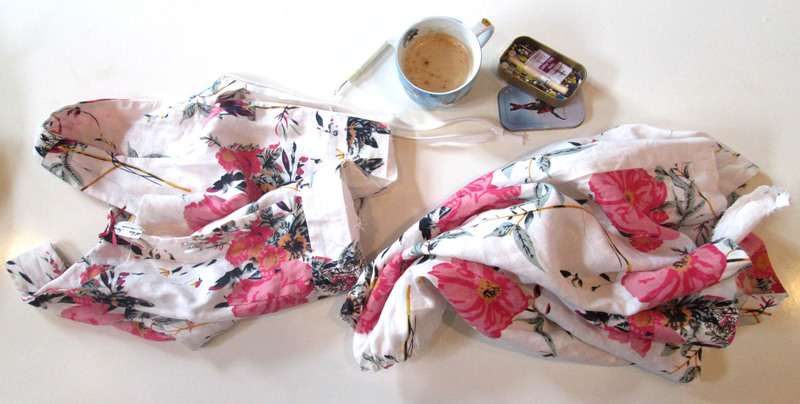 There is always a lot of unpicking to start with, trying to preserve as much of the fabric as possible. I decided to keep the skirt part and use the front waste band for the new skirt. 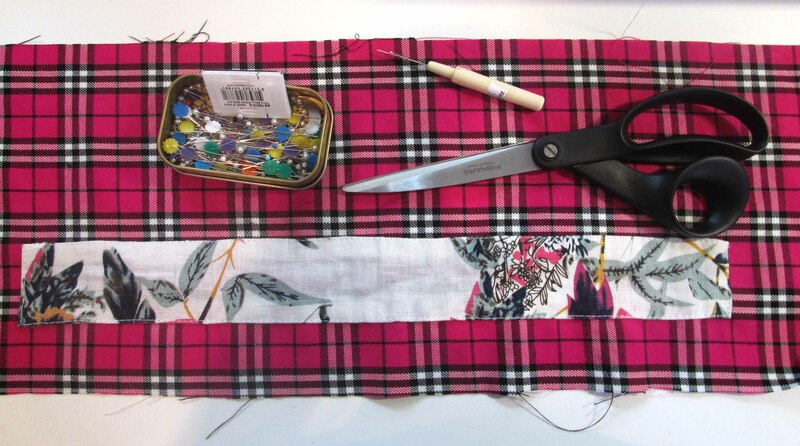 The new waste band was going to be tartan with the old one set on top, added belts and (mismatched) button closures. This was a lot of work as you can see and I wanted it to look quite neat unlike my other slap-dash sewing results. 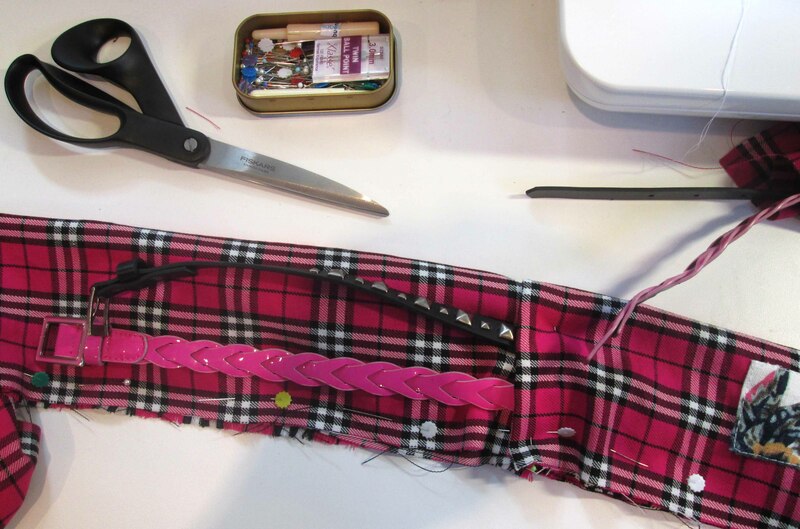 The next step was to put darts into the top of the skirt and fit it to size. 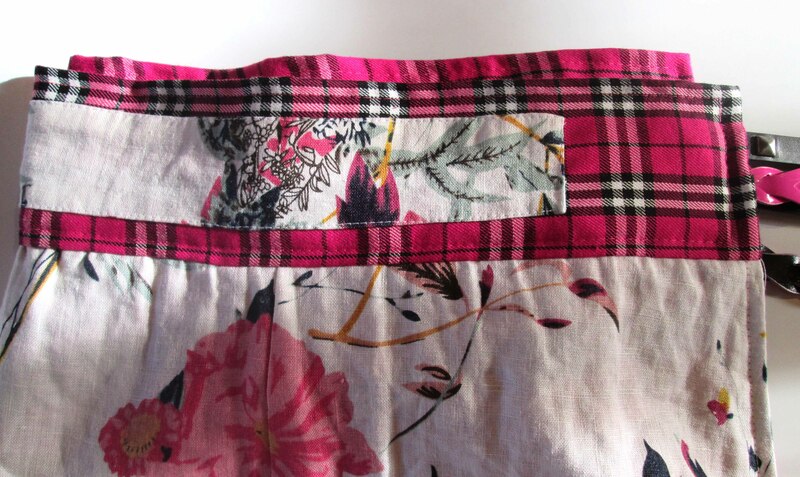 I also added a tartan lining to the front before attaching the waste band to the skirt part. 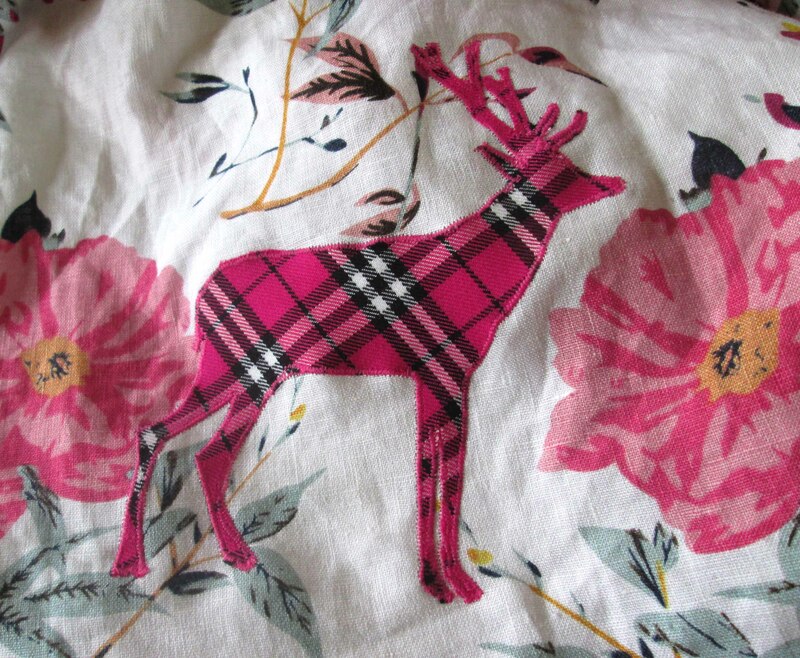 I enjoy freehand embroidery and appliqué and drew a stag on the back of some Bondaweb, ironed that onto the tartan fabric, cut it out and then ironed it onto the skirt. 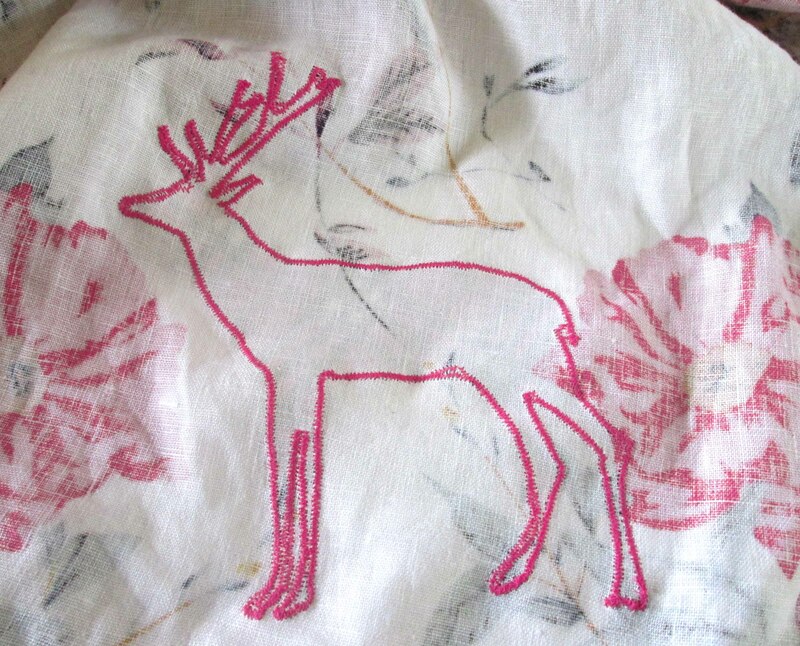 Stitching small zigzag stitch around the edge twice secured the stag perfectly to the skirt. Fortunately I did a good job; even the back looked good – for a change! So, here is the final result, I really enjoyed making it even though it took me a while but I feel it was worth it. I hope you think so too. You can see a ‘summary’ of the Highland weekend on http://we-are-bright.com/index.php/component/k2/item/44-our-bright-highland-weekend but unfortunately no picture of me in my skirt!